When Humphrey hears that school is ending, he can't believe his ears. What's a classroom hamster to do if there's no more school? It turns out that Mrs. Brisbane has planned something thrilling for Humphrey and Og the frog: they're going to Camp Happy Hollow with Ms. Mac and lots of the kids from Room 26! Camp is full of FUN-FUN-FUN new experiences, but it's also a little scary. There are fur-raising wild sounds and smells, and there's something called the Howler to watch out for. 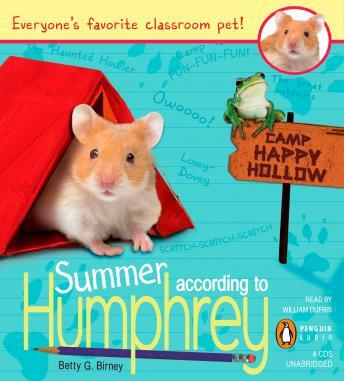 Humphrey is always curious about new adventures, but could camp be too wild even for him?